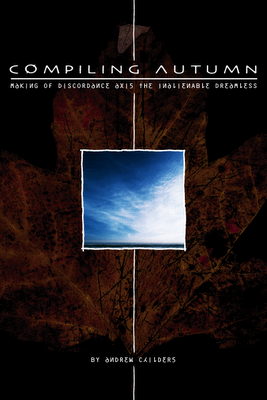 Andrew Childers blogs at Grind and Punishment, and has interviewed your editor there more than once, but he says perhaps his proudest moment is his book Compiling Autumn: Making Discordance Axis’ The Inalienable Dreamless. Discordance Axis was an ahead-of-its-time grindcore band, and The Inalienable Dreamless is considered by some to be their masterwork. Decibel Magazine inducted it into their Hall of Fame, and many bands have tried and failed to emulate them, if not take liberal amounts of influence (your editor has taken some measure himself). Metal and grind fans might recognize the names Jon Chang (vocals) from GridLink and Dave Witte (drums) from Municipal Waste, Burnt By The Sun, et al. Rob Marton rounded out the lineup on guitar, and his unique approach was captured, in a different way, with the publishing of some of his handwritten guitar tablature. Andrew posted them at his blog, and they also appear in the extras of the band’s DVD, Pikadourei. Part 6: I Will Live Forever. Alone. For more info on Discordance Axis, visit their website. You could also do worse than read the Discordance Axis features in the D.U. archives: issue #20 and issue #39. This entry was posted in News and tagged book, Decibel, Discordance Axis, Grind and Punishment, grindcore, Jon Chang by Editor. Bookmark the permalink. Really liked what you had to say in your post, Discordance Axis book and guitar tabs posted online | Disposable Underground, thanks for the good read!